Last week I joined Coffee For Your Heart and wrote about beauty. 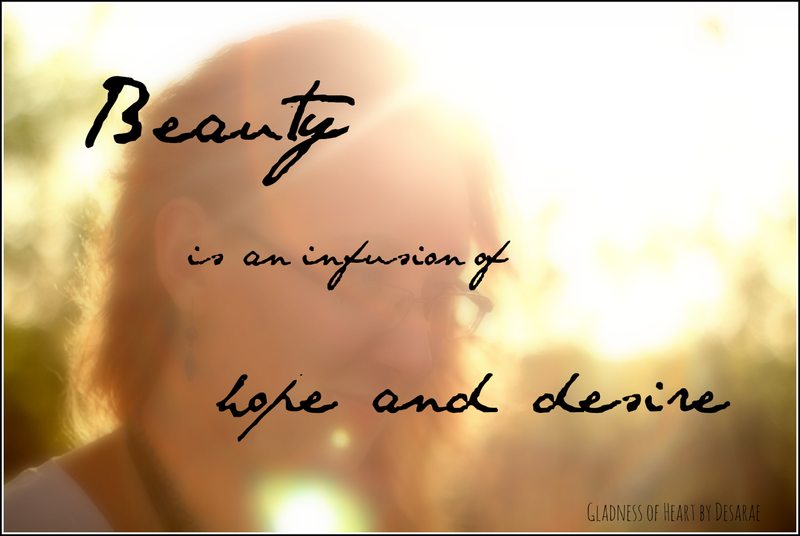 "Beauty is an infusion of hope and desire." I just quick wanted to share a thought with you about that. After writing my post I decided to do a little research into the word infusion. It was such a specific and slightly odd word choice, that I was intrigued to delve deeper into the matter. I had to smile when I read the following description. such as water, oil or alcohol, by allowing the material to remain suspended in the solvent over time (a process often called steeping). The process of infusion is distinct from decoction, which involves boiling the plant material, or percolation, in which the water passes through the material (as in a coffeemaker)." Infusion is the process of bringing out flavors, in a solvent, like water. But infusion happens when the plant is steeped, or soaked, in the water over time. Not boiled, and not just passed over once. You can probably tell where I'm going with this, can't you? are extracted...brought forth, drawn out when we have been soaked and steeped in the Living Water. but the reality is we become more ourselves. I like the picture of soaking up Christ and slowly being drawn out. He is careful with us. He doesn't boil us, causing pain and a breakdown of our character. And he doesn't just flow over us once, like hot water over coffee. But He surrounds us, envelopes us and allows us to soak Him in. Over time we release more and more of ourselves into His care. beauty is an infusion of hope and desire. Are you dripping with hope? Does that liquid hope spill over into the lives of those around you? Do you have a river of desire for life coursing through you? Can people smell the Living Water on you?